High apacity to keep your combines going and heavy duty design that can withstand the elements when you need it most. Fight wet conditions and compaction with Elmers exclusive track design built specifically for the highest capacities and toughest conditions. 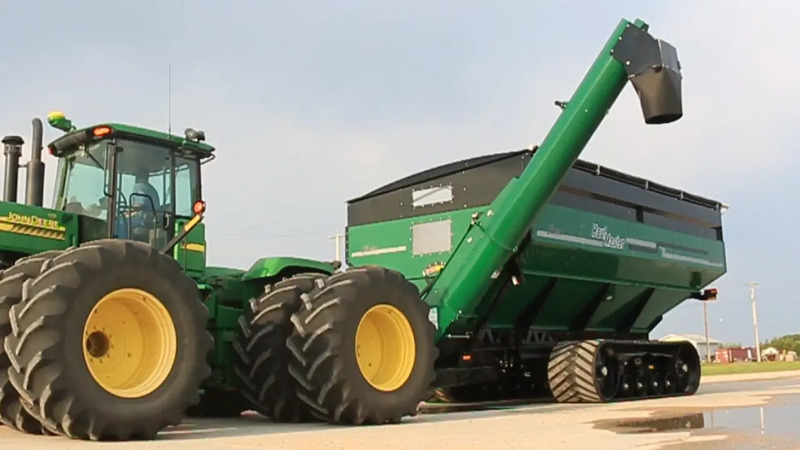 Get unloaded quickly and efficiently with the superior dual auger design getting your grain cart back in action in minutes. 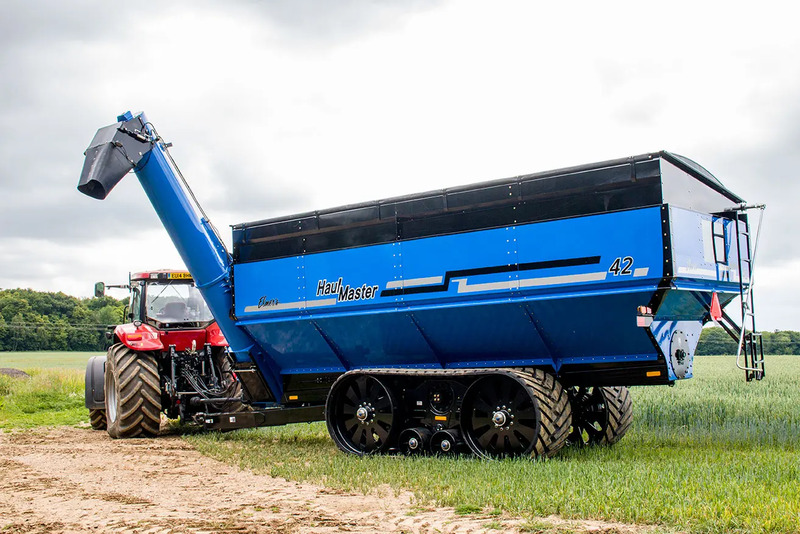 We’ve created the HaulMaster Grain Cart to be able to handle whatever environment you’re in. 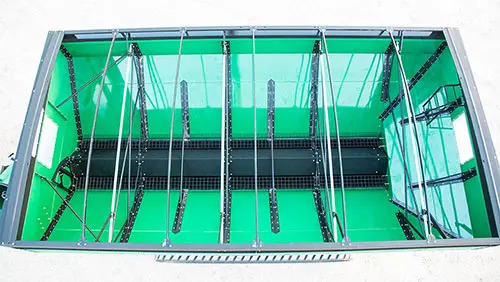 The Extremely Durable and Low Profile Frame provides excellent stability and clearance for combines with lower augers. As farmers, we understand the need to build a product that maximizes your time on the field. We’ve created the Haul Master to be able to handle what-ever you put at it. 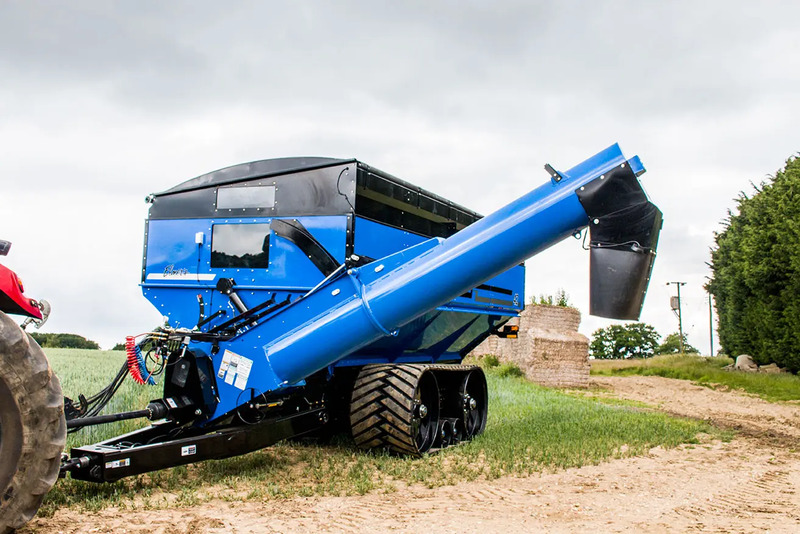 The Extremely Durable and Low Profile Frame provides excellent stability and clearance for combines with lower augers. As farmers, we understand the need to build a product that maximizes your time on the field. The Smooth Wall Design reduce waste by giving your product no option but to roll down to the auger. This also helps the cleaning process when switching to a new product. The exclusive See Through Window allows you to monitor traffic while you’re on the road plus the usual benefit of being able to check the hopper level. Cleanout is a breeze with the Haul Master Grain Cart. 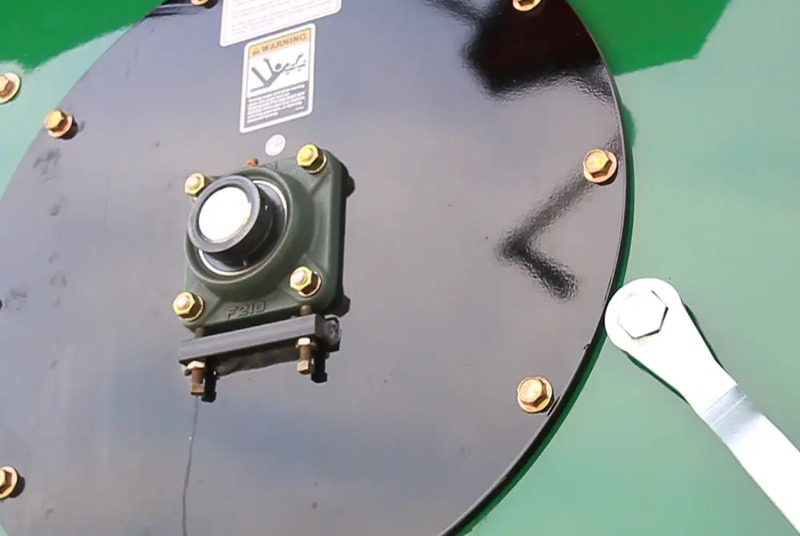 With a door running the Full Length of the horizontal auger, connected to a single cam shaft, cleanout is achieved in one simple step. 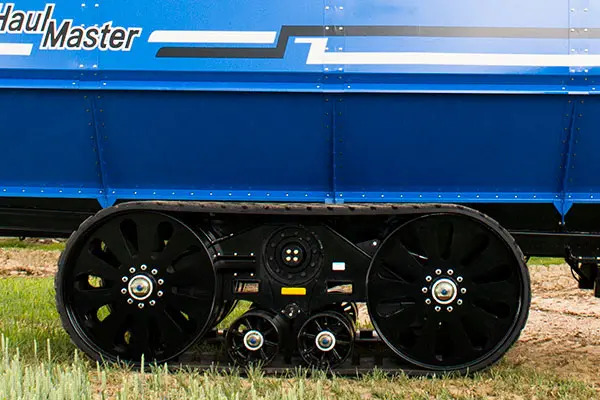 We understand the huge benefit of having a great track system so we’ve created our own Exclusive Tracked Undercarriage simply because there was no other undercarriage that could perform to a farmers expectations. The standard track is also our Transfer Tracks which allows you to use them on other equipment throughout the year. We understand the huge benefit of having a great track system so we’ve created our own undercarriage simply because there was no other undercarriage that could perform to a farmers expectations. 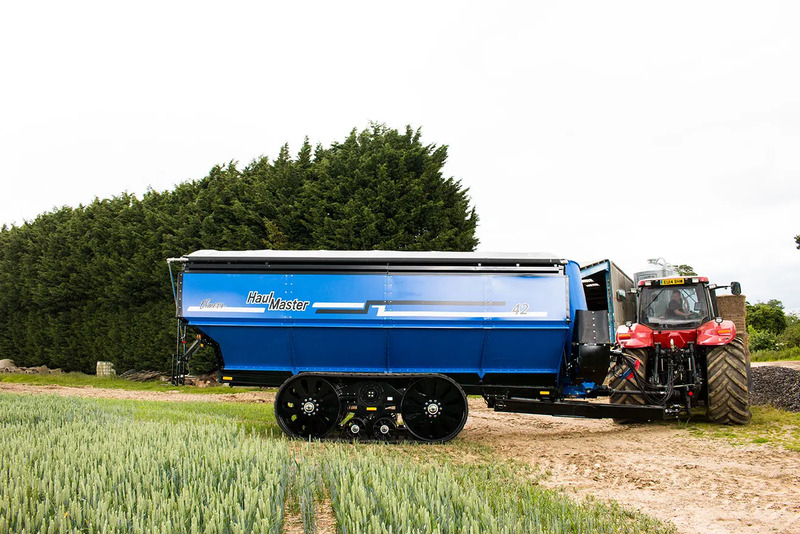 Reduces Compaction and Provides Excellent Floatation. Built to carry a large payload and eliminates the need for multiple axles and steering systems. Industry leading 9000in² floatation results. Hydraulic Track Tensioning automatically adjusts to maintain tension. Pivoting Mid Rollers glide over uneven terrain to distribute the weight evenly. Why Are Tracks The Best Option? 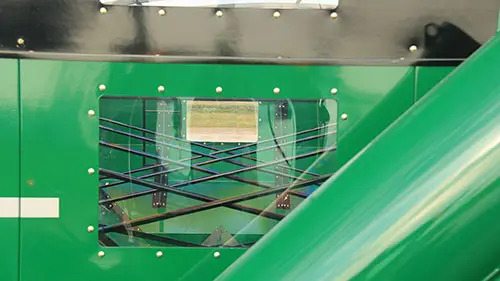 The more surface area that touches the ground at one time equates into better distribution of the grain cart weight, reducing ground compression and increasing flotation. In this comparison, it demonstrates the difference between Tracks and a Tri-Axle design. Tracks have multiple benefits over a Chaser Bin with Tri-Axle Tyres. In the illustration below you’ll see how tracks offer more surface area which reduces ground compaction. The flat plane of a tyre puts the full weight load on a much smaller surface area compared to Tracks. Tracks also benefit from rolling over dirt compared to tyres that are continually climbing out of the rut they create. 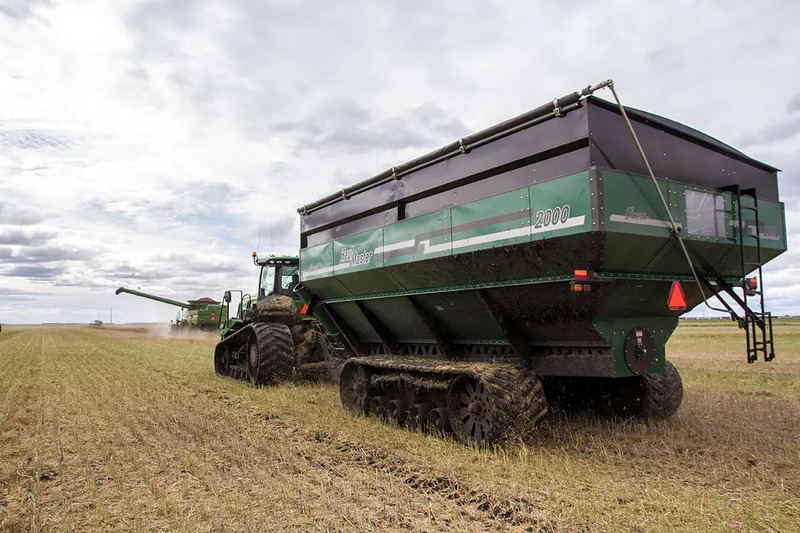 This reduces rolling resistance which makes a Chaser Bin with Tracks easier to pull than one with tyres. Tracks also require less complexity to be better performers when it comes to turning your Chaser Bin. Our Dual Auger Design provides the highest capacity unloading and optimized weight balance on the grain cart to minimize tongue weights. This means you can get your product off the grain cart faster while requiring less load on your tractor. 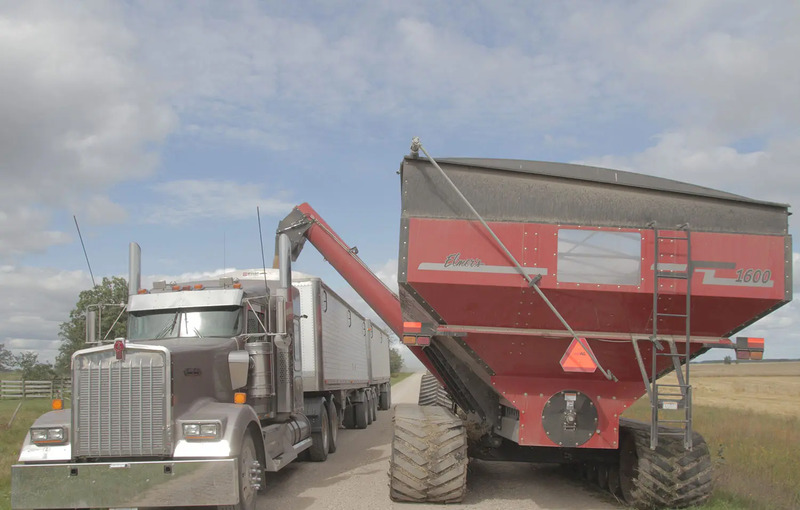 By using a Dual Auger Design we are able to provide the highest capacity unloading and optimized weight balance of the cart to minimize hitch tongue weights. 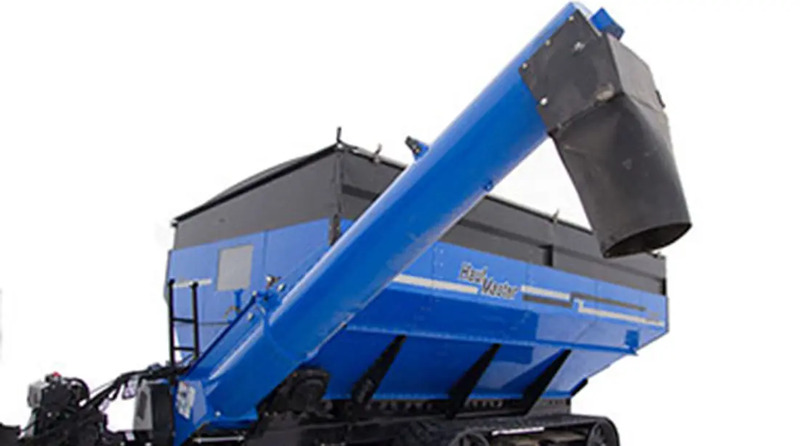 Flow to the horizontal auger is controlled hydraulically with a gate system that allows unrestricted flow along the entire length of the cart. 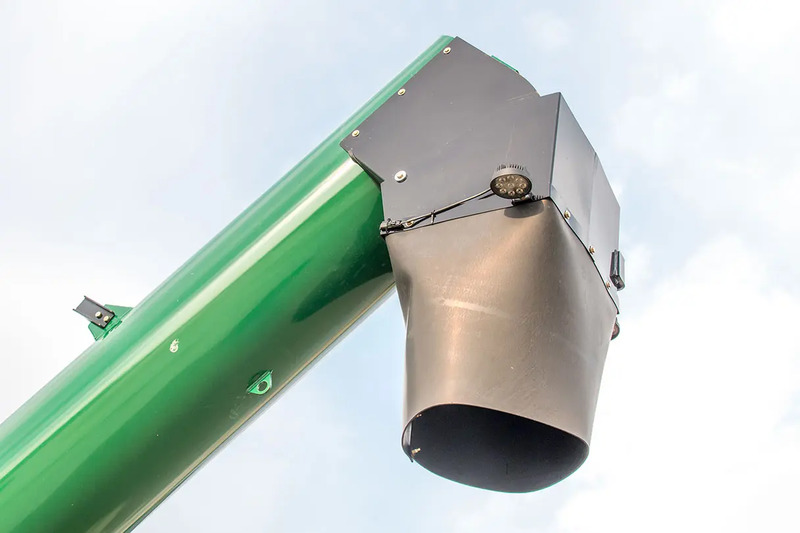 Unload auger can pivot from 294 cm to 457 cm so you can adapt to any scenario. Spout pivots towards or away from the cart to direct the flow of grain when unloading in the truck. The vertical auger provides plenty of reach that provides ample room between the cart and the the truck. How much power do I need to pull a Haulmaster? How quickly does your cart unload? Speed of unloading is completely dependent on your product variables. Type of product, weight and moisture can all impact unload times. Due to these variables we prefer not to give out unload times as they can be inconsistent.